Make learning a multisensory experience for your students by integrating newsreel footage, speeches, audio files, and archival images into your lessons! PBS LearningMedia makes the search for quality content easy and stress-free with a collection of over 30,000 resources spanning the PreK-12 spectrum. For instant-access to the PBS LearningMedia library, simply create a user account and log on – it’s free. 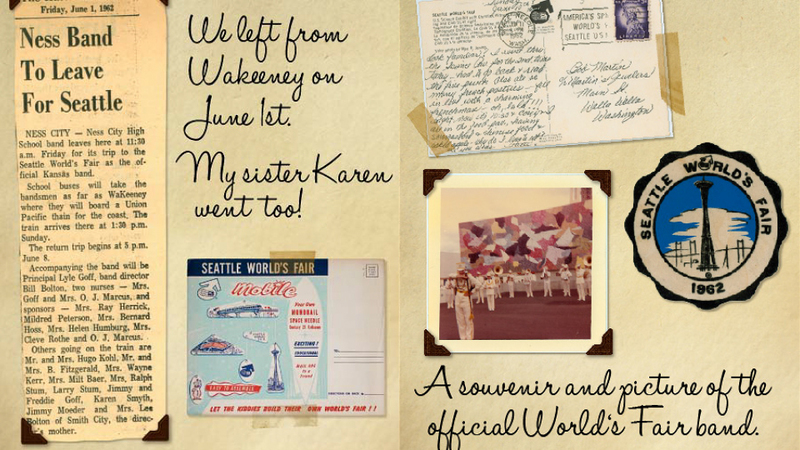 This interactive scrapbook invites students to reconstruct the journey of 1962 high schooler Jane Morton as she travels with her school band from the Midwest to the World’s Fair in Seattle. By using newspaper clippings, patches, snapshots, receipts and letters students practice using ephemera to explore the past. There are opportunities to contrast modes of communication, means of travel and teenage culture from the early 1960s to today. In this activity, students will identify and analyze documents related to key presidential decisions. Through close examination of the documents, students will determine which president was involved. Students will then identify the Presidential Library associated with the documents on the map. This presentation uses Library of Congress primary sources to introduce African-American history. Explore the key events in African American history from slavery to the Civil Rights Movement. For more interactive games, primary sources, videos, and lesson plans, visit PBS LearningMedia and create a free user account. It is a multidisciplinary way of introducing marine science, history and culture. Please feel free to share the material.